ARTKB is a full-cycle hardware product development bureau, which helps companies and start-ups to build their hardware products all over the world. Its offices are located in Kyiv, Ukraine and Shenzhen, China. It has own equipment park with mechanical and electrotechnical laboratory, machining and molding workshop. There are more than 50 projects for startups, private and corporate clients in bureau's portfolio. Vladymyr Khyliuk and Yaroslav Romashko are the co-founders of a well-known Ukrainian hardware development bureau. The partners have been working together at one of the big ventilation systems company before. They have vast experience in encapsulation and electronic packaging of the devices, industrial design, business development and project management which they successfully apply in their bureau. SOC: Alexander, thank you very much for dedicating your time to this interview. We are truly glad to have a chance talking to you live because we have heard so much about your complete professionalism and about the project, which you took on. Begin with, our spinoffers and our partners would like to learn more about your bureau in order to make use of services that it provides. We would like to start from the overview of your company. We would also like to know more about your experience, as a result of which you founded the ARTKB bureau. How has this idea started? Could you please elaborate on the story of its creation and your team? 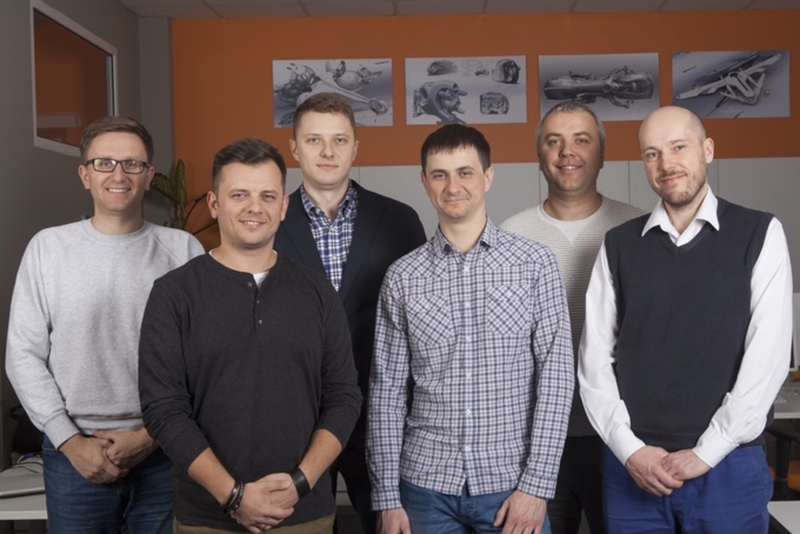 Alexander: ARTKB is a Ukrainian company with 18 full-time employees that have a qualification in hardware product development and production. Today the company has customers from around the world: Ukraine, Germany, USA, China, Thailand, Russia. Among our customers there are private and corporate clients such as SAMSUNG, Ecosoft, Elvatech, VENTS, etc. and also start-ups such as Lunecase, Petcube, Cronzy, Clovitek, Hushme, etc. ARTKB provides such services as industrial design, mechanical design, prototyping, electronics engineering, suppliers research, setting up of mass production, supply and logistics, injection molding, project management, production management and IP protection. My father was a construction engineer so the knowledge and the skills I have with all the love of this field I adopted from him. It all began a long time ago. After graduating from the institute, I worked as a freelancer, so I designed pressmolds for intrusion molding under pressure, developed plastic products and cases for devices. I also worked in the largest enterprise for domestic and industrial ventilation processing in Ukraine called Vents. One of the highlights of my career was my work in European Commercial Agency of warehouse equipment. I got the experience of the European approach there. It was an invaluable experience in a foreign market. For these 3.5 years, I have gained a wealth of experience for starting my own business. So the idea arose to create the "ART" (it means the creation of works of beauty or other special significance) and "KB" (the abbreviation of two Ukrainian words that translates as ‘design-engineering bureau’), which existed that time and still exists as the only bureau in Ukraine that provides a whole range of quality services for industrial design, engineering, product development and it conducts deep design research with elements of marketing evaluation. Firstly, there was only one employee in my office represented by me. I was the director, the person who created the website, made marketing research and worked with clients all the one skin. In the process of the company's development Yaroslav Romashko joined the team as the COO ARTKB. By that time, he already had a proven and extensive base of ground works with China. He was engaged in prototypes, tooling and product expertise. At the moment, he supervises the work of the Chinese representative office for the production of press molds. A little later the team was joined by Vladymyr Khyliuk, the CPO at ARTKB, who supervises the Production Department and keeps watch over quality control. Vladymyr is also an expert in the complete equipment with electronic instrumentation and its engineering. At the moment, we run on a well-developed scheme: industrial design evaluation, prototyping, proof of concept and its improvement, assistance in the company's preparation for crowdfunding platform. Our competence includes many stages through which the products pass on their way. At the engineering stage, we have the industrial design, formation, product development and its prototyping. The next stage is the stage of production. During this stage, we carry out marketing researches of suppliers, direct preparation for production, mass production, injection molding and tooling. The next steps of the product developing such as more global business, mass sales, distribution and market scaling ultra vires with our competence and we are ready to consider the candidacies of experienced partners. We are also open for cooperation on attracting larger investments through private investors, co-investing with existing incubators and funds. Eventually, ARTKB plans to take a leading position in the field of industrial design in our part of the world. SOC: We have heard about your customer intimacy and boutique approach. Could you tell us more about it and list the USP of your company? The most strong USP’s of the bureau is that we know the process from top to bottom and produce high-quality products with the use of various materials, such as iron, plastics, silicone, rubber, glass, fabrics, etc. We have a balanced system of plastic injection molding process and also the mass production of products. We are the exclusive representatives of the company YUDO Co. Ltd in Ukraine, a world’s leader in hot runner systems and auxiliary systems for plastic injection molding. This enables us to carry out plastic encapsulation with the help of high-quality injection molding equipment. Another link in the chain of our success is the versatile boutique approach in working with our clients. We not only develop product design and package, we also carry out so-called design research, we do the market assessment for this product and also we partially work with marketing research in order to understand and evaluate nature of the product and its relevance and subsist the demand and the most appropriate design of one or another product for this very moment. If to talk about company’s benefits, ARTKB is a team of experienced professionals, which embodies the ideas into life. We use innovative thinking, modern design and engineering tools, an effective combination of technical and management skills, long term experience of the joint projects with partners and suppliers, knowledge of logistics. ARTKB Product Designer and Art Director Pavlo Nesteruk graduated from the Lund University of Technology in Sweden. In 2008, he won the Ingvar Kamprad scholarship from IKEA for obtaining a Master's degree in industrial design. He is also a participant in various international competitions and exhibitions.During the education at Lund University Pavlo did an internship at Nasa's Johnson Space Center as a part of a study course. Before ARTKB he worked at NIK Electronics LTD, the company which implements the automated systems. He has obtained a perfect experience of working on multiple tasks being subjected to tough time constraints. In ARTKB Pavel is responsible for the design and visualisation of the most useful and the most popular products. All these allow us to find the individual strategic approach for the new product development. As the results of our work, there are not only sketches and drawings, but a product of a mass production worldwide. SOC: According to your vast experience, which advice and warnings you might give spinoff founders in the sphere of your activity? What mistakes, in some cases even fatal, should they avoid? What do they risk appealing to non-professionals? The first and most significant mistake of a startupper or a spinoffer, in my opinion, is that they may elevate the relevance of their product/technology, which is a result of long and persistent years of work. So my point is not to rely on one’s product/technology too much. Revaluation of the product importance is dangerous because the creator forgets about the value of this product directly for the user. The second that came into mind, is that it is essential to bring the product to the market gradually. The first iteration is better to make fast with the minimal functional prototype, in order to get feedbacks from the customers. Then to renovate and to make the second or third iteration successfully, this time with the much higher budget. And the last but not the least my advice, always start the project from design evaluation and market research in order to predict all the possible risks that might appear. SOC: Money is a critical issue for the rising companies. Spinoff founders take into consideration all the expenses. One of the expected questions from them is whether they might receive a discount from your company and under which terms? If to talk about the cost of our services it is rather low as compared to the USA or Western European companies that specialise in the industrial design services. For example, if compare the price of US based Dragon Innovation it will cost $6.000 each month while our services will cost $4.000 for all two-month up to half-year-period of the project. The prices are established according to one of the cheapest markets in Europe as the most of our clients are Ukrainians. That is why our conditions are the most loyal, especially if to talk about foreign customers. This could be also a great benefit for international spinoffers to use our services. SOC: As I understood, you have so many customers in Ukraine and all over the world, how do you think, where is the stock pot of ideas? Which countries are the most creative? It is wonderful to have different ideas. I believe there are a lot of such ideas around the world. Good projects are everywhere, but the concepts are different. It's all about the speed of the project and capability of bringing it to the market as quickly as possible, before the opponents. For instance, in 2012 we worked on the project iBlazr with the developer of flashes for smartphones. At that time there were several similar innovations, but it was one of the best prototypes. 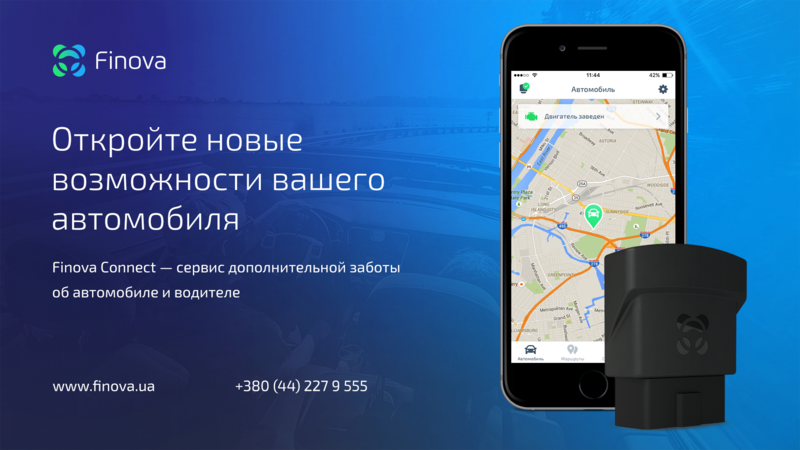 Vlad Teslenko, the current CEO of the company, came to us with his idea. At the first stage of this project, we worked for a purely symbolic payment. We developed a body frame, then created prototypes, chose a supplier, agreed on electronics, and set up mass production. The project also raised about $ 160,000 on the crowdfunding platform Kickstarter. Up to this day, we are engaged in the mass production of this product in Shenzhen (China) at our partners' factory, where we control the quality and follow the shipment. This project gave us the impact for the further development of our bureau. Another project was of great importance for the development and understanding of the strategy of our bureau. This is the Petcube project. Petcube gadgets are interactive wifi pet cameras for pet owners. They feature a wide-angle camera, built-in microphones and speaker, and a laser pointer toy. Moreover, Petcube Bite allows pet owners to feed their pets remotely with small snacks via the mobile application. Through the mobile app, users can join the Petcube community, and instantly share photos of their pet taken with their smartphone, or Petcube Camera. The creators managed to get financial support from the accelerator HAXLR8R in Shenzhen. So, this way the accelerator model caught our eye. I flew to Shenzhen, where I took stock of this model and studied it to embody it further under the authority of ARTKB. We have heard that you have launched the Hardware Accelerator Solution for spinoffers with Carrot. Could you tell us more about this project? I think this information is very important for the spinoffers worldwide. The idea of creating a hardware accelerator Carrot arose after we saw that there are such projects that have a very interesting idea, but there are no financial opportunities to transfer the idea into reality. We decided to create a legal organising unit that will provide services for the development of new products for startup teams or companies with subsequent design, technical and production support, as well as help in organising a campaign to attract the investment needed to pay for ARTKB bureau services and further product development. Carrot also determines the missing competencies, assigns to a particular work of the contractor and pays for these services. The main contractor for the development, as a rule, is the ARTKB bureau, although there may be other contractors who carry out works in which we do not have competence, including companies in China. The main focus of the program is to help start-ups develop design documentation for production, create a working prototype. During our work we have established good interaction with all incubators in Ukraine, such as EastLabs, Happy Farm, WannaBiz, Growth Up and others. We are planning to make the accelerator project global, so we are considering the possibility of opening foreign partner companies and accelerator branches. Your projects are amazing and hit fancy, we learned that you were engaged in the development of PetCub, IBlazr and HushMe and realized that there are no unsolvable tasks for you. Tell us more about them. Could you please tell us which problem you might solve for spinoff founders and why your company can be helpful for them? Yes, you have listed the most famous startup projects which are our ‘Heroes of Kickstarter" such as Petcube, iblazr 1, iblazr 2, eCozy, Hideez (Safeband), Lunecase and Klatz. Our start-up Hush Me, the world's first voice mask aka is also one of the most famous. The wireless around-the-neck headset was first presented at CES 2017 and held a lot of interest among market professionals and the general public. Together with ARTKB management, it was founded Hushme Inc. The company is registered in Dover, DE and the main office is based there, but R&D is still in Ukraine. Also in the near future, you can expect the release of devices such as Finova Connect - Connected Car platform with advanced functionality. The technology uses statistical algorithms, data mining and machine learning to evaluate each driver's behavior pattern. And NoZzER Watch - the world’s only device, which is capable of preventing micro sleep – the most dangerous form of unwanted sleep. But we make not only startup projects. We work for governmental organisations, corporate partners and private companies and clients. One of our first project was a state project where we developed a corps of the deputies voting system for Verkhovna Rada of Ukraine (the parliament of Ukraine). Speaking of corporate clients, we can recall the project LP (lprof.com) from TIS, a system of LED lighting based on aluminium profiles and mounting systems. We also had a joint project with the Vents plant where we have developed a number of ventilation systems with a recovery system of various capacities. We worked with Ecosoft developing the design and corps of water purification systems, which are now for mass sale. We provide our services for such companies that want to upgrade the outdated design of their devices. For example, we were working closely with Elvatech, which is developing equipment for the jewellery industry. The company develops and manufactures spectral analysers for determining the chemical composition of metals by X-ray radiation. We are currently engaged in the design and manufacture of a number of their devices. We developed and put into production ProSpector II, a new spectrometer by Elvatech with a built-in computer for work in mountainous terrain. We are interested in working with any projects related to physical production. 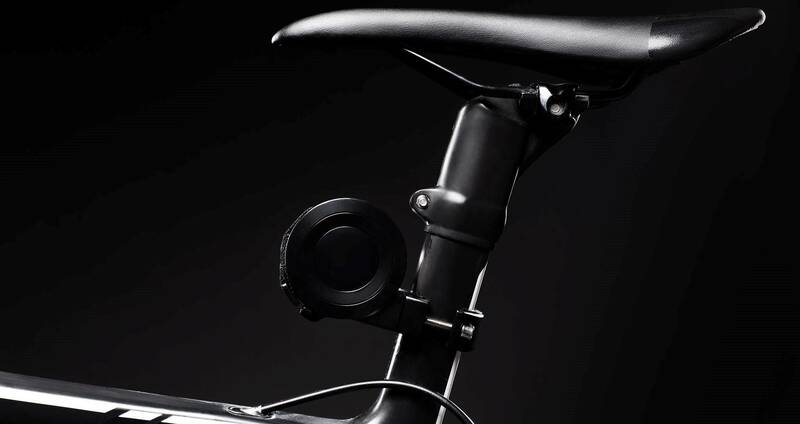 It is not only high-tech products but also developments related to mechanics that make our life more convenient. Such simple devices for everyday life or entertainment may be various, for example, wearable electronics, lamps and lighters, life style devices, smart belts and bracelets, gadgets for automobilists and bike riders, some smart furniture, household articles, devices for pets etc. There is a bit more difficult with high-tech start-ups, which require serious scientific research, laboratories, special tools and equipment. However, even in such projects, we can help in supporting processes: the development of design and construction, launching into batch production, and putting it on the market. Therefore, we are interested in working with world’s universities in terms of providing the complex of industrial design services. At the moment, we are already working closely with PhD students from international universities, helping them to develop prototypes for their dissertations or unordinary inventions and are planning to develop relations with universities in terms of providing our bureau services at the international level, so we are ready to support spinoffs from around the world. Want to make a point that for them our services will be less expensive, and given our vast experience in industrial design, we will be able to fulfil the customers need. Dear Alexander, we would like to express gratitude for the interview, all provided information and materials. We also want to express our respect to ARTKB's professional team. We are pleased to introduce you to our partners and spinoffers worldwide. SPINOFF.COM will be happy to continue our relationship and to consolidate it year after year.